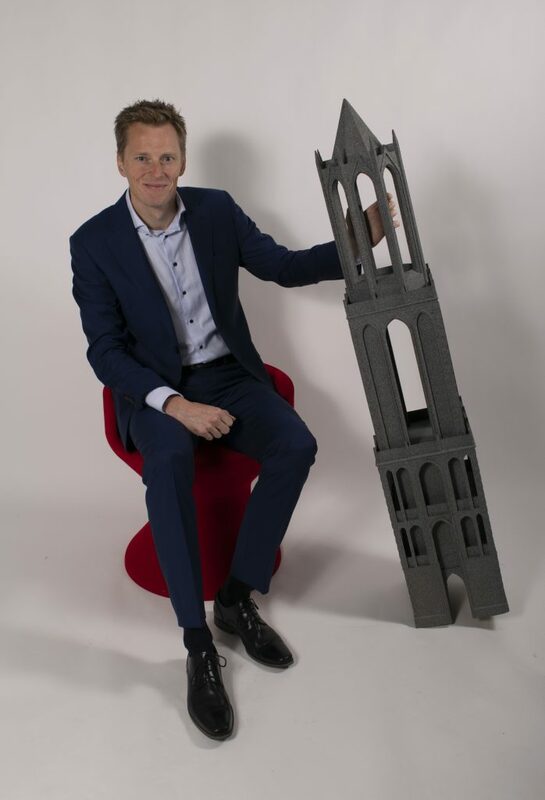 Maurits Blok is the newly appointed Commercial Director of Dutch industrial 3D printer provider Tractus3D. Founded in 2015, Tractus3D manufactures a range of large-volume delta 3D printers and desktop systems, and is gearing up for the commercial shipment of a new high temperature 3D printer. In a rapidly growing and highly competitive market, the company is committed to distinguishing itself from the field with a customer-focused approach. In this interview, 3D Printing Industry gains insight into Blok’s plan for Tractus3D’s commercial innovation, and receives the latest details of its upcoming PEEK 3D printer, scheduled for shipment January 2019. 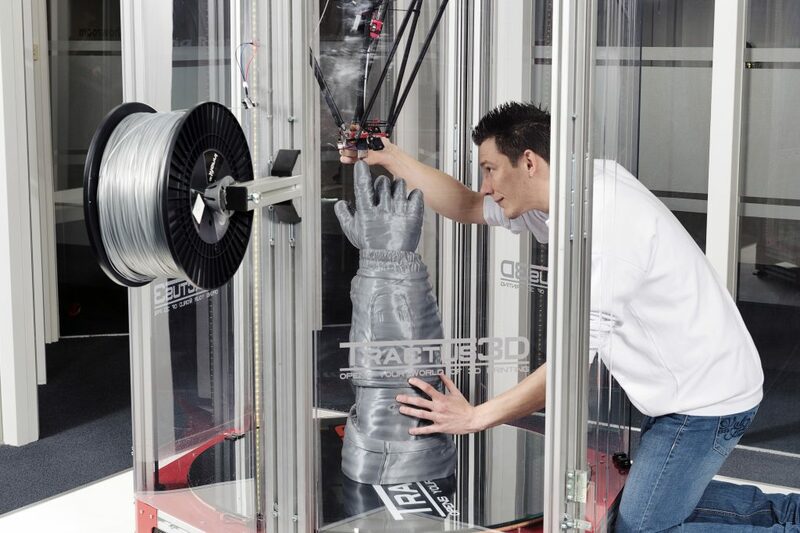 Tractus3D’s large scale 3D printers exist as the T3000 (XL) model and the T3500 (XXL). The T3000 has a build volume of 1000 mm x 1450 mm (W x H) whereas the T3500 operates 1000 mm x 2000 mm (W x H) a size Blok believes to be “the largest commercially available Delta 3D printer.” Both 3D printers offer a maximum print speed of 200 mm/s, and a resolution of 20 to 1000μm. This gives user the ability to 3D print “life size” objects. Applying the customer focus to these systems, the T3000 and T3500 are competitively priced compared to other large volume 3D printers, and feature user-friendly specifications, including automatic build platform compensation, out of filament detection, and an open materials system. With the new T850P, Tractus3D customers will be able to print materials like PEEK, PEI/ULTEM and Carbon PEEK. The T850P is the successor of the T650P and the most notable differences are its bigger build volume of 300 mm x 380 mm (diameter x height) and a heated chamber. The heated chamber makes sure the temperature inside is at the required level, in combination with a printhead which goes up to 450°C. The PEEK 3D printer is competitively priced at less than 12.000 euros and now available as pre-order with a special early bird discount until 31 December 2018. Like Tractus3D’s large scale 3D printers, the T850P filament run-out detection, an open materials system and automatic build platform compensation, in addition to other usability features including a starter kit which helps customers get ready to print in less than 30 minutes. In order to combat obsolescence, all Tractus3D printers also have a modular design to facilitate future upgrades. 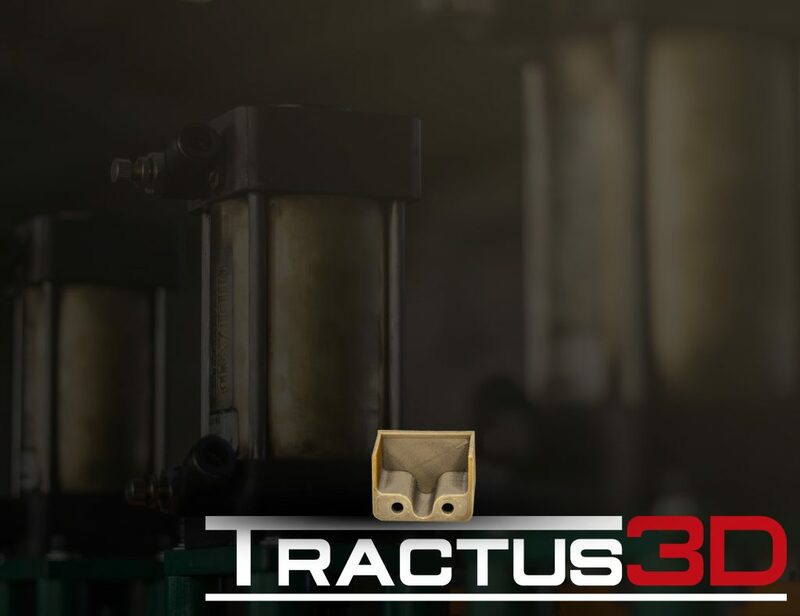 As with installation, upgrades can be made by Tractus3D engineers, though in theory they should be easy to replace too. For more information and examples of large volume 3D printing visit the Tractus3D website. Also, take advantage of the T850P early bird discount and visit the pre-order page. For exclusive interviews and 3D printer news subscribe to the 3D Printing Industry newsletter, follow us on Twitter and like us on Facebook. Join 3D Printing Jobs now to search for the next step in your academic career.